As men in touch with the needs of our times, we are eager to contribute to the reshaping of our reality. We possess the spirit and will to continue the saving work of Jesus in the manner of St. John of God. St. John of God was challenged by the needs of his time. He looked into himself and recognized the need to change. He looked outside of himself and saw the needs of suffering humanity. He surrendered to God and discovered a deeper relational integrity among the different dimensions of his life. For over 400 years our Brothers have given of themselves to the care of those in need. In different parts of the world the Brothers have offered care and compassion. Hospitality, the charism of the Brothers, has been a contemplative stance in an anxious world, a gift that gladdens the spirit and restores hope, a vital component that heals life. Our response today has future implications, hence, we assess our resources and plan strategies that will assist us to transition our systems successfully into the future. Christ’s healing love as expressed by our charism of hospitality, through a community of faith and a compassionate service to God’s suffering people. As Hospitaller Brothers of St. John of God, we strive to incarnate in ever greater depth the sentiments of Christ towards the sick and those in need and to manifest these sentiments with actions of mercy: we make ourselves weak with the weak and help them as the most favored ones of the Kingdom; we proclaim to them the Father’s love and the mystery of their complete salvation; we defend their rights; and we offer our lives for them. 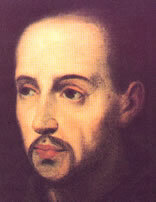 We dedicate ourselves with joy to helping those who suffer with those attitudes and actions, which characterize the Brother of Saint John of God: humble, patient and responsible service; respect for, and faithfulness to, the person; understanding, loving-kindness and self-denial; sharing in the anxieties and hopes of those who suffer. For them our life is a sign and proclamation of the coming of the kingdom of God. with each other the love of God and our neighbor. We feel that we are brothers of all mankind and we dedicate ourselves chiefly to the service of the weak and the sick; their needs and sufferings touch our hearts and lead us to alleviate those needs and sufferings and to work for the personal development and advancement of such people. We feel that we are the responsible custodians of the gift of hospitality, which gives our Order its characteristic identity. This binds us to live our charism with fidelity, preserving, deepening and constantly developing it within the Church, our openness to the Spirit, to the signs of the times, and to people’s needs, will show us how we are to incarnate it creatively in any given time or situation.